The Mesotherapy technique was developed by French doctor Michael Pistor in 1952. The treatment involves administering a specially formulated blend of rejuvenating ingredients including: vitamins, minerals, amino acids and natural hormones. This formula is delivered through a series of injections made with very fine needles, in localized areas of the skin. Treatment areas are normally the size of a quarter that is covered with one injection per section. Multiple injections might be required to cover a large area and might not be very effective on older clients with sagging skin. Mesotherapy was initially used to treat a range of vascular and infectious diseases, including sport-related injuries; the guiding idea behind the technique was that these localized injections would work to correct underlying issues occurring in the mesoderm (middle layer of the skin), such as poor circulation and chronic inflammation. However, the treatment was soon found to create additional fat loss benefits, with localized injections causing underlying fat to melt away in injected areas. • Spot fat reduction beneath the eyes, underarms, hips, waist, chin, and stomach. • Hair loss treatment for conditions like alopecia. • Sprains and muscular injuries. • Chronic conditions like fibromyalgia. • Fading wrinkles and lines. Many cosmetic practitioners consider mesotherapy to be an effective alternative to surgical weight loss procedures like liposuction. The latter treatment involves the delivery of a powerful anesthetic, after which several incisions are made across the patient’s skin. Fat is then permanently removed through a surgical vacuum. Recovery from liposuction can take anywhere up to six weeks, and as with any surgical procedure there is a risk of complications arising. Meanwhile, mesotherapy is a non-invasive treatment that is also far less expensive. Although, mesotherapy injections may cause localized pain and some light bruising, these impacts are minimal compared to the after-effects of liposuction, with recovery often taking no more than a week. 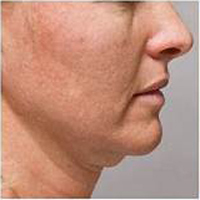 Because this is a non-surgical procedure only localized anesthetic is administered to patients. Generally, mesotherapy will be performed over a series of treatments to ensure optimum results. The exact number of treatments will depend on the areas of the body targeted. Mesotherapy promotes vascularization and lymphatic drainage in the body, which promotes increases the amount of blood and oxygen flowing through the injected areas. This process works to rejuvenate the appearance, as skin elasticity is restored and the dimpling associated with cellulite is naturally reduced. Noticeable improvement is seen after repeated use of the injection. The desired effect can be achieved over a series of treatments, usually several months. Nutrition can enhance the treatment by potentiating the desired effect. Hormones play a vital role in the development of cellulite. Estrogen contributed to approximate 70% of women over the age of 35 who are affected by cellulite. Through the hormonal supplements administered during mesotherapy, many imbalances can be corrected which leads to an overall reduction in the incidence of cellulite. 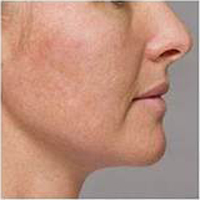 Mesotherapy is very effective in eliminating the dimpled appearance but when used in conjunction with other therapies can enhance the result. • Ahead of the surgery, you can consult with Dr. Agha to go over desired treatment areas. During this discussion you can also discuss the particulars of your treatment, as well as any specific drugs that should be avoided prior to the procedure. • A numbing topical anesthetic is applied to treatment areas. • An injection of 1-4mm (depending on the treatment area) will be used to make a series of penetrations across the skin. Each injection will deliver a microdose of the formula. • There is minimal downtime after the treatment, in most cases patients can return to normal activities within 24 hours. • Maintenance sessions are usually required after 2-3 months.